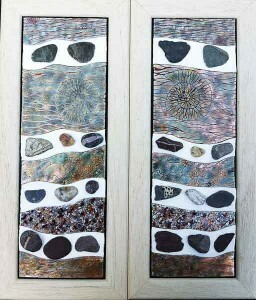 I have a passion for rocks and fossils and spend hours walking along the beach, sketching and photographing rocks. Sometimes I am lucky enough to find a fossil, although I have bought most of my collection. I find the patterns and designs in rocks and fossils to be endlessly fascinating, and with fossils, the idea that millions of years ago it was a living entity is inspiring and wonderful. 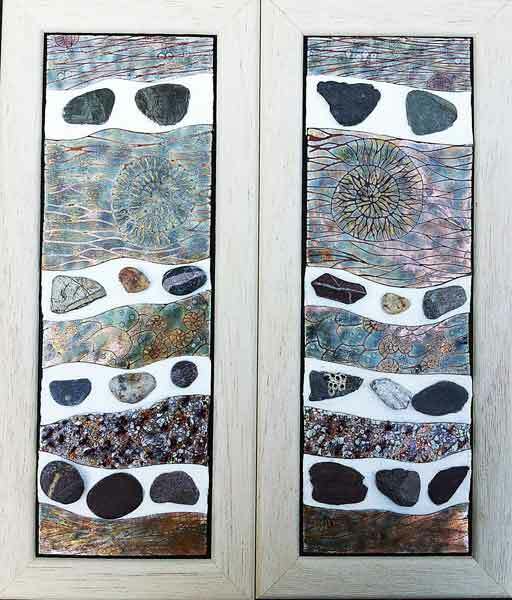 I have sought to create this range of enamelled Fossil Panels to bring something of this magic to your home.